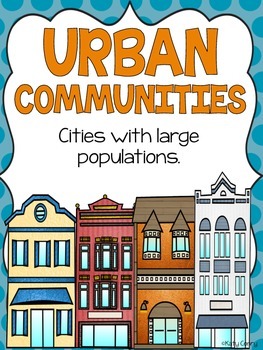 This is a packet with posters, worksheets, foldables, and activities to supplement your Communities unit! 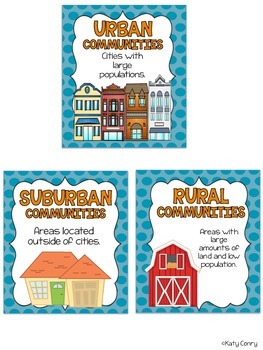 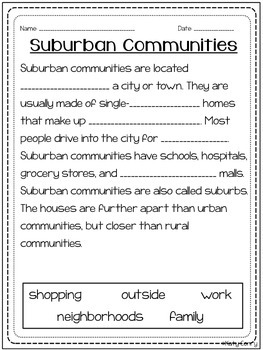 The packet focuses on the differences between rural, urban, and suburban communities. 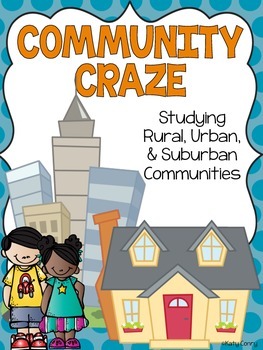 Check out the preview for a closer look!